1. Do you qualify for the Rent a Room Scheme? Thanks to sites such as AirBnB, more people are renting out spare space in their home. You can now earn up to £7,500 per year tax-free from renting out a spare room in the property you live in (£3,250 each if jointly owned). 2. Previously undeclared rental income? HMRC is currently targeting tax evasion by residential landlords. 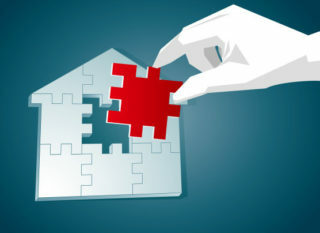 By cross-checking information from mortgage lenders, managing agents, tax returns and the Land Registry it is becoming easier for them to spot where there may be a problem. The good news is HMRC are running the ‘Let Property Campaign’ which gives people a chance to declare previously undisclosed rental income and get favourable terms on any penalties. If you or your business own a commercial property, such as a shop or office, you could be sat on significant unused tax allowances. HMRC accepts that a proportion of the original purchase price relates to assets on which Capital Allowances can be claimed. A decade or so ago, many accountants would have advised differently on this. Luckily, retrospective claims can be made, but you’ll need the assistance of a specialist surveyor. Get in touch if you would like a referral. I am often asked, ‘Is it better to purchase my next development property as an individual or through a company?’ The answer depends on a number of factors: What your other income is; whether you are married; how long you expect to hold the property for. For this reason it is worth taking advice from someone who can look across your affairs and weigh up the pros and cons for you. Do you need assistance with property accounts or tax? Please get in touch to arrange a chat.